Reflecting on why I share stories of wine. I think of you often. You the reader, you the fan of wine country, the curious, the knowledgeable, the tourist and the local. Especially since I have not posted anything here since November of last year. I like to connect the dots, which the Clore Centers allows me to do. Often, we will taste and compare Washington wines to wines made from the same grape varieties, from the original country of origin. Some of my favorite experiences are seeing how Washington wines are different and yet the same from wines from other parts of the world. UK Cheese and Washington wine pairing at the Clore Center. 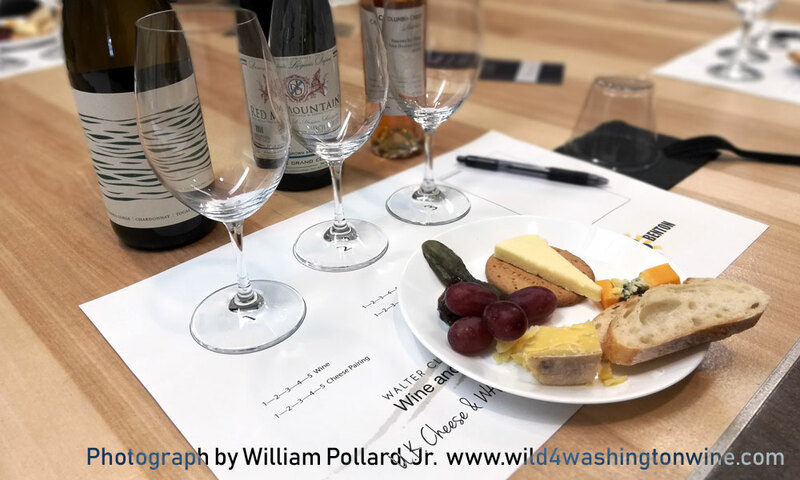 At the Clore Center, we are now hosting monthly international cheese tastings paired with Washington wines. The cheese we use are imported from their point of origin (France, Italy, Germany, UK, etc.) paired with our Washington wines. We make an effort to look at what wines they have in those countries, and how cheese is paired with their wine. These sessions are truly educational and delicious. Plus, it's moved me out of my box of the same four cheeses I typically purchase for home. The world of cheese is now expanding for me. "I've been reflecting. Not writing, or at least, not sharing what I’ve written." If I have ever poured for you, or you’ve attended one of my tasting sessions, then you have been exposed to my enthusiastic energy. Sometimes, I try to restrain my passion when speaking to guests, but I can’t help myself, the passion for wine takes over. Most of my guests get it. They are similarly passionate, or are becoming so, with gentle encouragement. 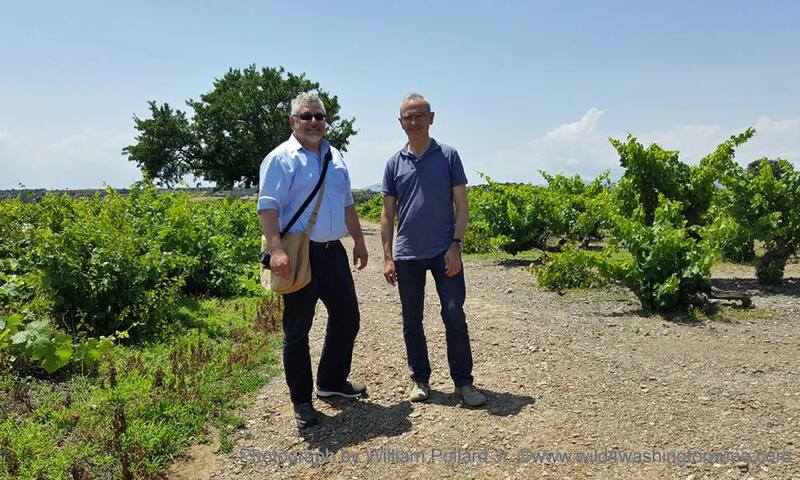 With Antoni Roig, Mas LLunes Winery, Catalonia, Spain. My fixation on wine has expanded beyond Washington wine. It seems not everyone understands. Some question my current focus on this blog. 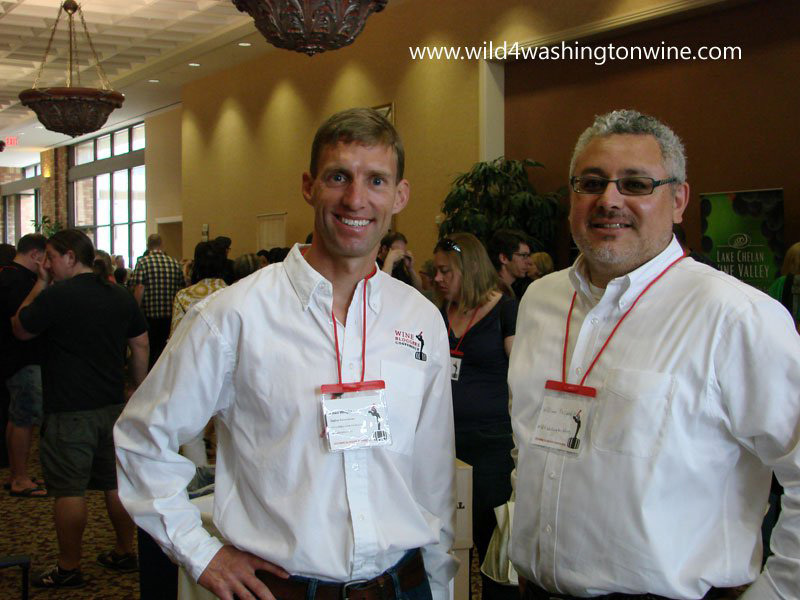 Last year, I overheard a few critical comments about my Washington wine blog. Comments from other wine writers. 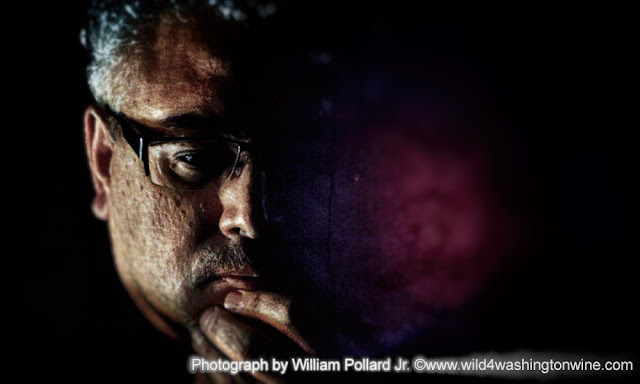 "Why do people have blogs on one subject, but write about other subjects too? I just don't understand the lack of focus." Thanks for pointing this out. I've struggled with this for eight years. You care, should I? I've also been reminded about potential conflicts of interest. I write about wine and work in the wine industry. Most wine writers do not work in the industry, unless they work for a winery and then write for that winery exclusively or they have an actual, physical wine magazine. This I am also aware of. I have always tried to be careful about wine samples, winery visits, winemaker interactions and how I review wine. I do not try to ingratiate myself, nor do I play favorites. Perhaps, I’ve become a bit too self conscious. I almost never visit wineries, unless invited. With my friend @sacreddrop Penticton, BC. Media visit at R.Stuart Winery, McMinville, Oregon. Along this theme of what I write about, and what is appropriate for me to write about, it was brought to my attention this year, from a wine region I was planning on visiting, “Why does he want to come here? 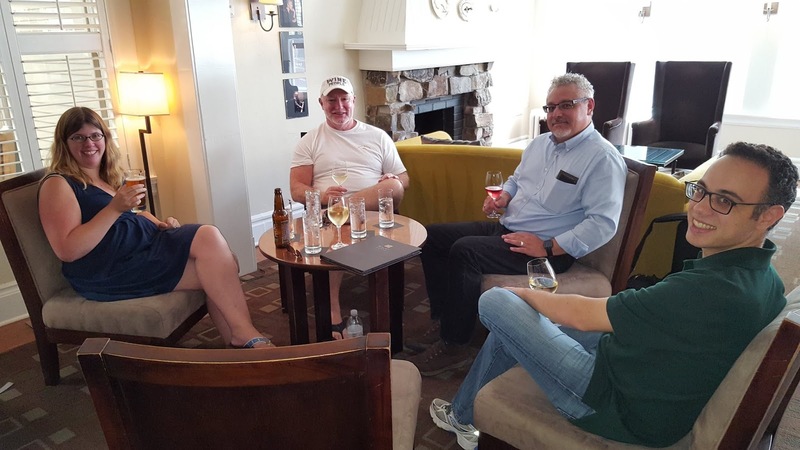 And what value does he bring by visiting our winery?” This was the first push back I’ve received from the wine industry since I began writing about wine on this blog, twelve years ago. Not writing, or at least, not sharing what I’ve written. This difference was pointed out to me a month ago in Arizona. It was a social occasion, spirits and wine were available, when I asked a guy with a glass of red wine, “What wine are you drinking?” the response was a dismissal, “William, I’m not like you.” And then he walked away. That had never happened to me before. I was considered irrelevant. I have considered a quick and easy way to make my wine blog more generic. Simply rename it. Remove the word “Washington” and done. I’m feet dragging reluctant to do this. 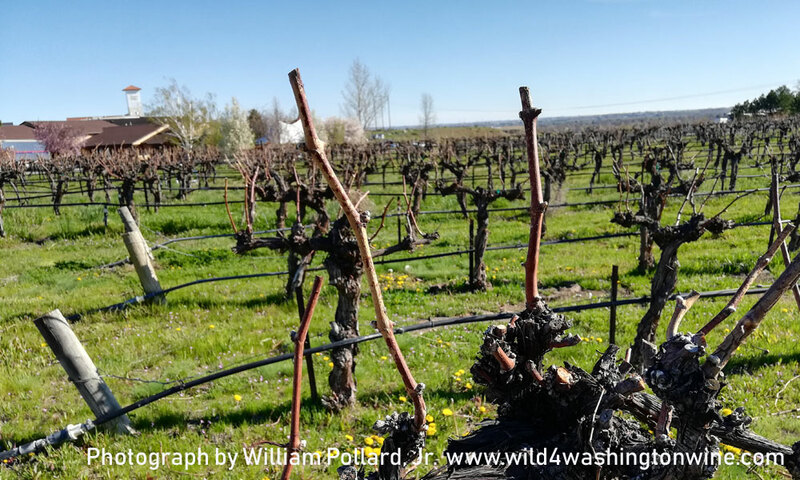 People know me as @wild4wawine and my twitter and Instagram accounts are too heavily invested, years invested, for me to start over with new accounts and new profiles. I don’t want to go there. The other obvious change, would be to start a new blog, with a broader wine focus. I’ve done this. 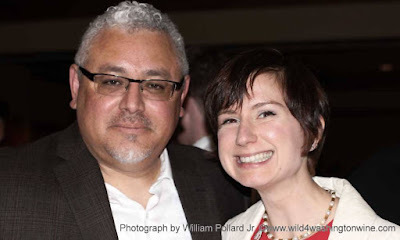 Some of you know of the New Zealand wine blog my friend Julie Crompe and I started in 2012. Focused, wines of New Zealand only. But samples dried up, and the blog died a slow quiet death. Other wine blogs I've tried to start also ran out of steam. Again, I point out, that I am heavily invested in @wild4wawine, 9 years on twitter and almost 3 years on Instagram. Which makes it difficult for me to embrace the newest blog with only 4 posts written and Instagram @contextofwine with zero posts. Starting over is not easy. And I’m a team of one. Another issue for me, I may be moving. I may be leaving Washington state. 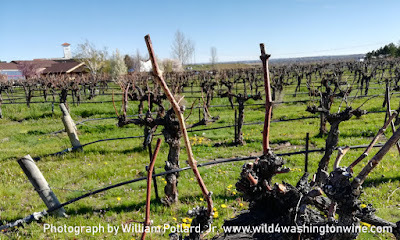 If I leave Washington, I will obviously lose my local connection to Washington wines, wineries, vineyards and all the winemaker interactions I enjoy today, living and working in Washington wine country. Maybe that would force me to shift gears, and blogs. Perhaps, www.contextofwine.com will become my new voice. If I move. 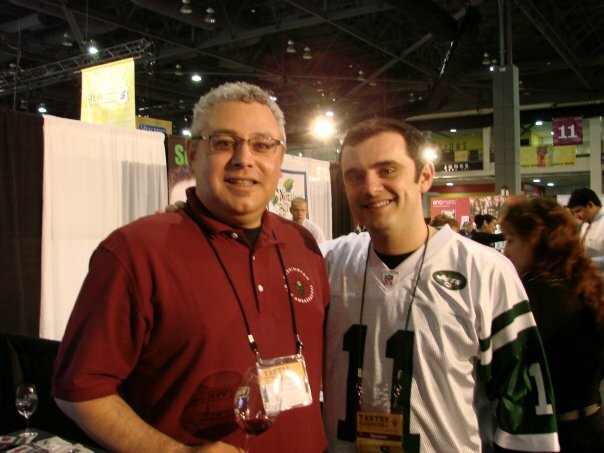 Meeting Gary Vaynurchuk in 2008. 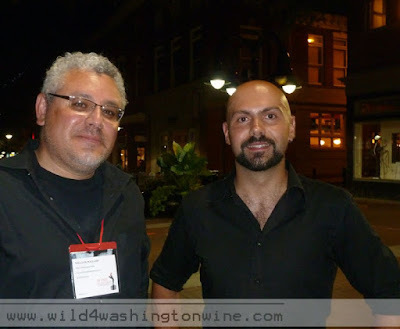 With Assistant winemaker Francesco Baravalle, 2011 Charlottesville, Virginia. Eight years ago, I wrote about interviewing for a job at a wine cork company. The owner of the business accused me of being a “romantic” he did not give a crap about the wine, the history of the winery, or winemaker. He just wanted to sell as much cork as possible, and make money. Which I understand. And it was the reason I was never offered the job. Because, I am a romantic. “I choose to write about my strong affections for wine and the ardent and passionate winemakers I meet. 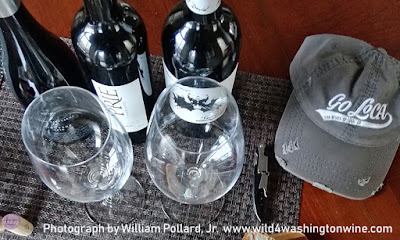 So, I may have a quixotic bent, but then I am, "Wild 4 Washington Wine".” A Romantic Indictment, February 2011. With Alan Wright, owner Zephyr Conferences 2010. If anyone is responsible for my quixotic bent, and passion for the world of wine, I point the finger squarely at Zephyr Conferences, and their Wine Bloggers Conference (renamed Wine Media Conference as of December 2018). They opened the doors in 2010, and showed me the international landscape of wine. And I became enchanted by what I saw, heard, tasted. I realized, I wanted to experience and learn more about the world of wine. I still do. Thank you Alan and Reno. So, all this noise in my brain has prompted me to make a few changes to this blog. My "Wine 101 page" has more content related to not Washington wine. And, I want to try to keep connecting the dots when I discuss/review wines not from Washington state. I'm thinking a carefully worded comment on each post, about how the wine is like or is not like, an equivalent from Washington. More work, yes. Perhaps it’s needed work. 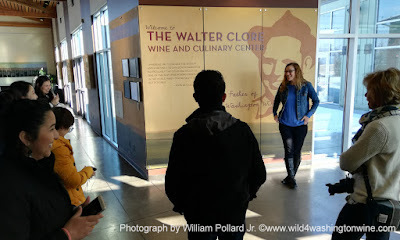 International tourism group visiting the Clore Center, February 2019. Weekly, I meet guests from all over the United States and the world. Visitors to Washington wine country are curious and thirsty to engage. My greatest pleasure is encouraging them to explore and discover new to them wines. And I send them to wineries, not just Washington wineries. If I know of wines and wineries, and they are going that way, then I mention those wines and wineries. My enthusiasm is not limited to Washington. Note: I have a soft spot for Lodi, California wines and wineries. Especially after a five day media visit to Lodi in 2016. A new post on Lodi wines is coming soon. While the world of wine is large, I mean, there is literally a world of wine to experience, I find the wine community to be embracing and well connected with each other. When I interact with Washington, California, Virginia, New York, French, Spanish, Italian, etc. 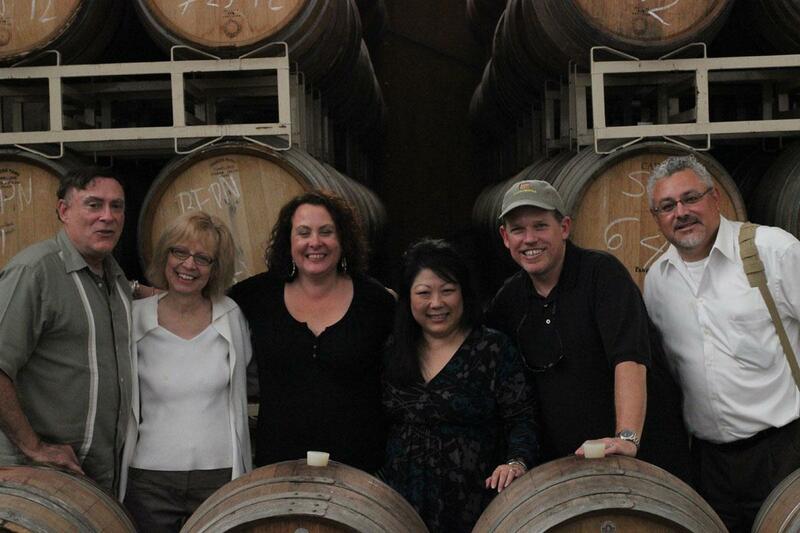 wineries and wine writers, I see many of the same people and quite a few friends. We ALL seem to be passionate romantics. Yes, we are focused on our local and regional wines, as we should be, it’s where we live and work. But, we are also excited, enthusiastic and passionate about wines from elsewhere. We all want to visit and experience wines of those other places. Snooth.com media visit to Lodi, California. 2019 Lodi wine tasting, post soon. Today, I find I cannot write about only Washington wine. And when I write about wine, I want to connect those dots. Where does the grape variety originate? What styles of wine are made at the original point of origin? How does the wine I’m reviewing compare? And what kind of food does it pair with? What kind of food do they eat with this style of wine at the country of origin? How are we the same and how are we different? And what special stories can I share? Point of origin is important. Wine and food pairings are important. And it's not all about Washington wine. Vineyards at J. Bookwalter Winery, Richland, Washington. Ultimately, I remain Wild 4 Washington Wine. It’s where I live, where I was born and where I learned to enjoy and understand wine. It’s MY point of origin. It’s where I developed my palate. I remain fascinated by wine. 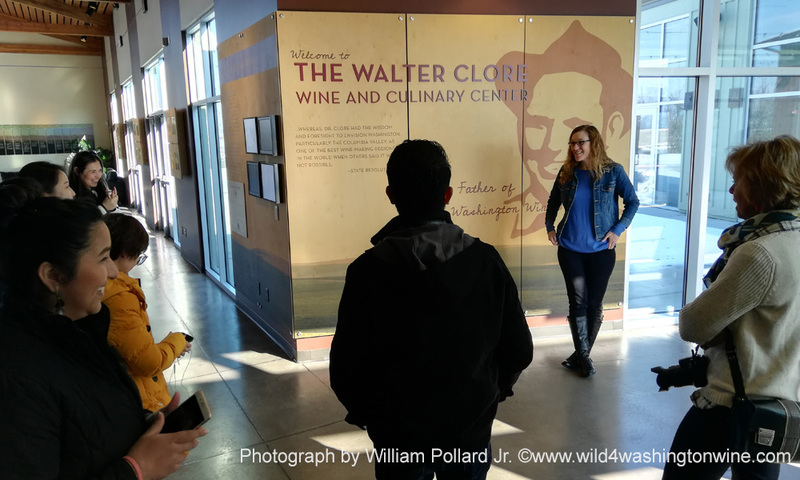 And I want to know more, experience more and share what I learn, here, on this wine blog I started in December 2006, when I was working for a Washington winery. Come visit Washington wine country. See how we are making wine grape varieties our own, in a style similar, but different from their countries of origin. And then explore those varieties from other wine regions in the United States. See how they are making wines in their own styles. And then seek out wines from the varieties point of origin. One of the frequent messages I share with guests who love Washington Riesling, is for them to drink German Riesling. I want them to taste how our Washington Rieslings compare. How we’re the same and how we’re different. It’s about context again. And I also want them to explore Riesling from Finger Lakes, NY, from Australia, and also New Zealand. I want them to embrace the variety, and understand how we are the same and different. Not good vs. bad. Rather, different vs. different. Remain curious and passionate, don’t limit yourself. I haven’t. And I'm pretty sure I'm not changing the name of this blog anytime soon. Maybe now I can start writing again.